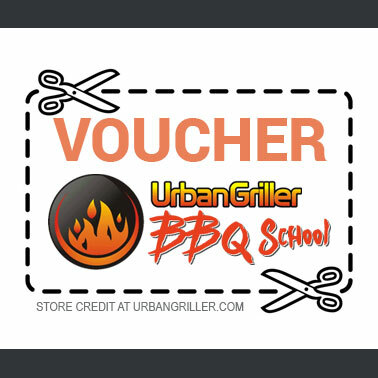 Grilling is the quick cooking of foods on a direct heat source either covered or uncovered. The main heat for grilling is usually radiation from above or below. 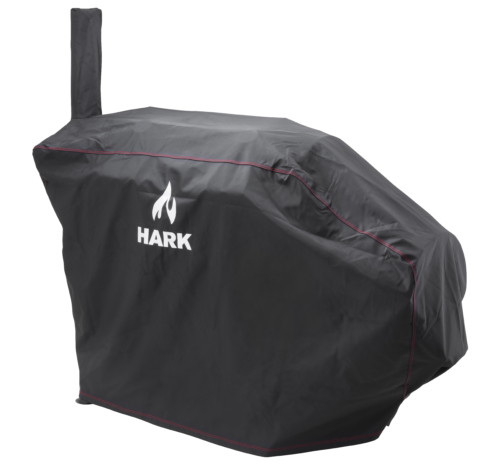 Grilling is the most basic form of outdoor cooking, it is most likely your first BBQ experience. In its most simple form food is held over a fire, a marshmallow on a stick was my first experience, sadly I didn’t get to eat it, it went all runny and fell into the fire! But a lesson was learnt that day! Grilling can be as simple as a sausage on a hotplate, and it can get quite complex. In Australia, a lot of people still cook on a hotplate and while it is a valid method, and it is simple, it’s not the best option. A lot of people have BBQs without a lid and a lot who have lids cook with the lid up. I would argue that grilling lid down provides a better result, and grilling on a grill instead of a hotplate provides better taste options. Lid up loses heat and slows the cooking, the food stews rather than searing. I’ll confess right now, I’m a charcoal cook, I love the fire, it’s just as fast as gas, a similar cost to run and the flavour is far superior. There are a number of charcoal cooking options, and a number of different fuels, more on that later. 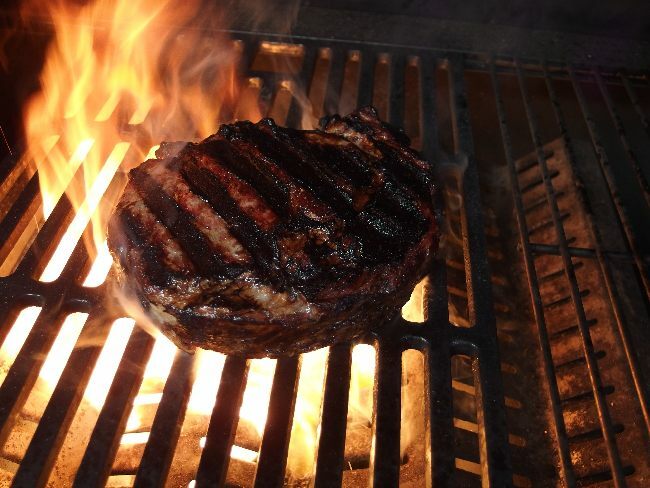 For me, grilling on charcoal (not briquettes) is simply the best way to cook a steak and of all the techniques, I can’t recommend the Reverse Sear highly enough! Once you have mastered this technique, your understanding of cooking will have changed forever! 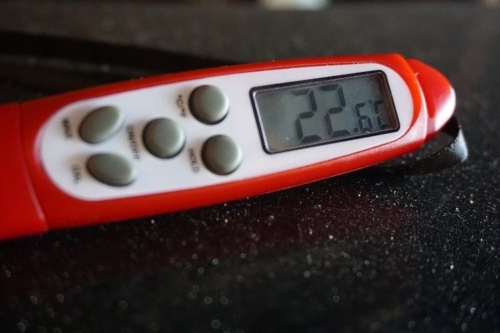 Put simply Grilling is putting food on a grill at any temperature sufficient to cook it; this can be a low temperature cook or a high temperature flash sear. Grilling is technically done by exposing the food to a dry, direct heat radiation, from above (broiling), below, or both. Although technically you can grill food at any temperature, but we tend to think of Grilling as resulting in a browned or caramelised surface on the food, a process first described in 1912 by French chemist Louis-Camille Maillard. The Maillard reaction or Browning of the meat surface, changes the colour of food and builds complex flavour. Maillard reactions begin above 140 degrees C (285 degrees F). Charring is effectively burning and it isn’t good, not only does carbonised meat taste bad, is creates carcinogenic compounds that you would be stupid to ingest. Charring typically occurs over 260 degrees C (500 degrees F) and is the complete breakdown of the meat leaving behind largely only carbon. Technically, those bits of your steak that touch the grill are seared, those bits that don’t are grilled. Those bits that are seared, the “Grill Marks” are not necessary, but they look great and that adds to the experience. 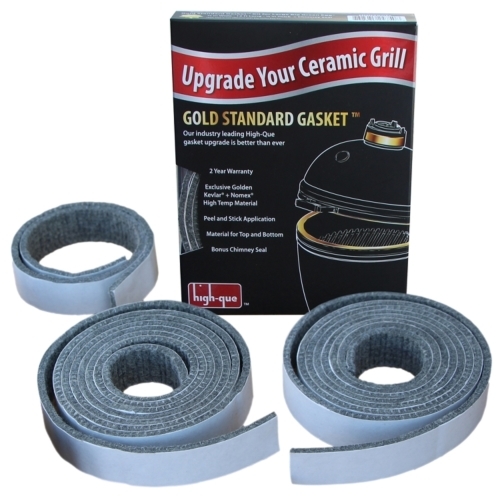 To get fantastic grill marks, use a GrillGrate, a specially designed grill that produces a great grill mark, no matter what BBQ you use. Flame is hot, really hot (hotter than charcoal) and it will quickly singe the meat, but it also deposits a multitude of less than good, evil tasting chemicals and soot onto the meat. Grilling directly over naked flame is not recommended, the result, aside from the health issues, the soot and carbonised meat is not very appetising. Charcoal is not as hot as flame, while it will still cook well and give a good “char” to the meat, it is more heat is more controllable. Charcoal grilling will give a good tasty crust and a great look to your grilled foods; it imparts a slight smoke taste, and is my preferred method. 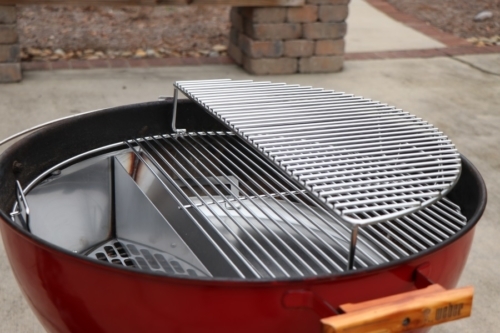 One of the best pieces of equipment you can have for grilling is a set of Grill Grates, these intensify the heat to make a fantastic Grill mark on any BBQ, they also stop flare-ups and convert a lot of the heat to Infra Red and this cooks faster. 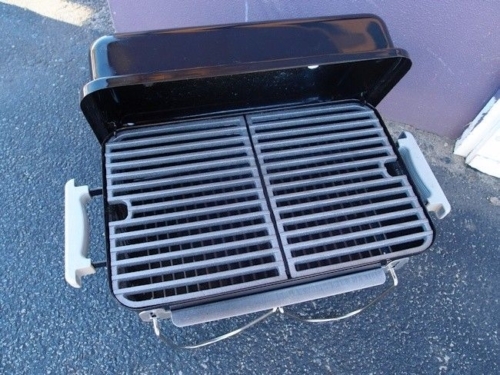 Grill Grates are imported from the US. I take mine in my suitcase on Holiday! Don’t laugh, with Grill Grates I can get a good steak out of any rubbish BBQ I come across! 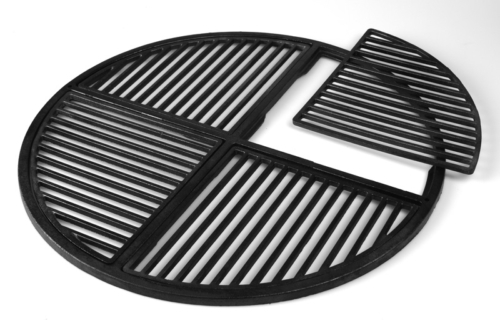 If you have a kettle, then Cast Iron Grates are the answer!